Odessa College - Odessa College named 2017 Star Award WInner! Odessa College named 2017 Star Award WInner! Home » General » Announcements » Odessa College named 2017 Star Award WInner! Major congratulations to the OC family for achieving another milestone on the journey to becoming the best community college in the nation! 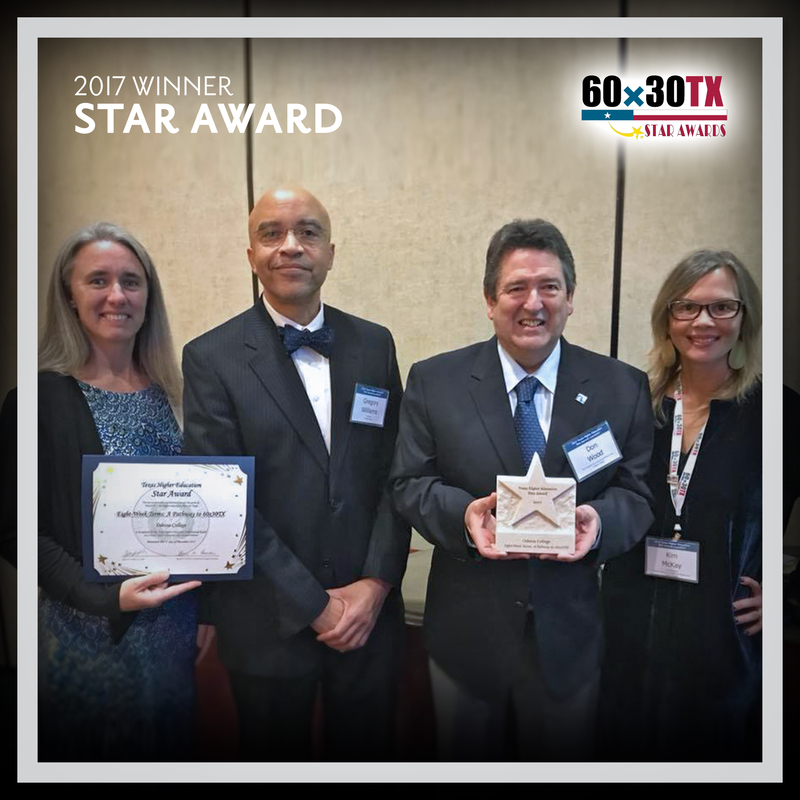 Members of the Odessa College Admin team (from left to right, Valerie Jones, VP of Instruction; Dr. Gregory D. Williams, President; Dr. Donald Wood, VP of Institutional Effectiveness; and Kimberly McKay, VP of Student Services and Enrollment Management) proudly display the Texas Higher Education Coordinating Board 2017 Star Award at the THECB Star Award Luncheon in Austin, TX on December 1st.